Is it Legal to Own a Still in Pennsylvania ? Simple answer is yes you can Legally buy and possess a still in Pennsylvania however you cannot use it to produce Moonshine. Although it’s legal to buy distilling equipment (widely available online), it’s not legal in Pennsylvania to make hard alcohol without a liquor license. If you’d like to see Moonshine legal in Pennsylania I’d suggest you check out this Facebook page that is trying to get Moonshine legalized in Pennsylvania! What is the Penalty For Possessing or Selling Moonshine in Pennsylvania? It’s hard to say as it depends on the circumstances. I’ve posted some article below about recent arrest made in Pennsylvania this should give you an idea of the punishment. MCDONALD, Pa., – Police in Pennsylvania said they responded to a report of two men burning something in a shed and discovered an alleged moonshine making operation. McDonald police said Midway residents called officers to their neighborhood April 11 with a report of neighbors burning something in a shed and one witness told police he suspected they were making moonshine because he had seen a man loading Mason jars into a vehicle, The (Washington, Pa.) Observer reported Tuesday. Police said they entered the shed to discover Matthew Zirwas III, 33, and Matthew Kirks, 29, operating what appeared to be an ethanol or moonshine distillery. Police said the man admitted they had been making moonshine in the shed. Zirwas and Kirks were both charged with five counts of reckless endangerment and one count each of failure to have a license to make liquor, illegal possession of liquor, disorderly conduct and possession of marijuana. Moonshine tempts new generation – Man Arrested in Pennsylvania! sprout up, according to law enforcement officials. State police say the number of illicit stills making powerful clear whiskey — known colloquially as white lightning, hooch or mountain dew — is growing, thanks in part to the popular Discovery Channel show “Moonshiners” that chronicles a motley crew of Appalachian bootleggers as they brew spirits and try to evade authorities. “They see (the show) and think, ‘It’s OK as long as I don’t sell it,’ ” said Officer Steven Brison of the state police Bureau of Liquor Control Enforcement’s Pittsburgh office. “The law in Pennsylvania is you can’t manufacture it. That law varies state by state,” he said. People can brew homemade beer or make up to 200 gallons of wine for personal use or to give to family and friends, but they can’t sell it, Brison said. Although it’s legal to buy distilling equipment (widely available online), it’s not legal in Pennsylvania to make hard alcohol without a liquor license, police said. In recent months, police in Western Pennsylvania uncovered several apparent moonshine operations. In April, police in Midway, Washington County, charged Matthew Kirks, 29, and Matthew Zirwas III, 34, with making moonshine and other offenses when neighbors smelled something burning inside a shed. McDonald police found a distilling operation “in plain view” of two homes. The still was made from two beer kegs connected by soldered copper lines, a propane tank with two burners placed under one keg and a water hose leading into the shed, according to court records. A smartphone at the scene displayed a webpage titled, “How to make banana brandy moonshine,” records indicate. Police seized the equipment, the phone, Mason jars of moonshine and a variety of ingredients. Kirks and Zirwas are expected to plead guilty this month and be sentenced to 23 months of probation under an agreement reached with prosecutors, said Yablonski and Mike Menner, Zirwas’ attorney. Liquor enforcement officers worked with state troopers last month to investigate an operation in a home in Saltlick, Fayette County, Brison said. On June 5, police seized a crudely made still, fermentation tanks, cooling tubes, a heating tank and other items from the home of Charles Donaldson Jr., Brison said. Donaldson, 30, faces a drug charge from the incident and could face moonshine charges when that investigation is completed, Brison said. “I think (making moonshine) is becoming a more popular trend,” Brison said. Liquor enforcement officers from Punxsutawney cited DJ’s Sports Bar & Grill in Brookville, Jefferson County, with possessing homemade wine and operating a still to manufacture liquor without a license, said Sgt. Shawn Fischer. Officers seized a still, copper tubing and corn mash from the kitchen, along with a jug of homemade wine, according to news reports. National statistics about moonshine-related charges are hard to come by, partly because different agencies look for violations and because the practice had sharply declined. The Treasury’s Alcohol and Tobacco Tax and Trade Bureau stopped keeping statistics about moonshine arrests in 1995, a spokesman said. Below the Mason-Dixon Line, authorities have infiltrated larger distilling operations than those in Pennsylvania. In June, Virginia Department of Alcoholic Beverage Control agents and the Pittsylvania County sheriff’s office raided the home of Ronald Way Bray, 63, and seized 339 gallons of moonshine, illegal stills, 18 weapons and cash. And in June 2011, a South Carolina sheriff reportedly seized $150,000, four vehicles and 1,500 to 2,000 gallons of moonshine in an undercover investigation. In the early 2000s, state and federal authorities busted a multimillion-dollar moonshine ring in Rocky Mount, Va., charging more than 30 people in Operation Lightning Strike for supplying tons of sugar, bottling supplies and other equipment for distilling alcohol. In the same town in 1979, officials discovered a moonshine operation disguised as a cemetery, with fake concrete block headstones and artificial flowers. In a ditch with a green roof were 18 800-gallon black pots to cook mash and 443 gallons of moonshine — yet all that was visible from a road or the air were headstones and flowers. Moonshining in America dates to 1620 when European settlers at Jamestown, Va., adapted whiskey recipes from the British Isles to use locally available corn, said Dan Pierce, history department chairman at the University of North Carolina at Asheville. Moonshiners distilled alcohol through battles over excise taxes, the Civil War and up to Prohibition, when demand and production exploded. Demand dropped significantly with the prosperity that followed World War II, and it declined further in the 1960s and 1970s when growing marijuana and making methamphetamine became popular, said Pierce. Today, moonshine is an all-inclusive term applied to illegally distilled spirits with varying percentages of alcohol. Although commonly associated with rural areas, making and drinking moonshine has taken on cachet as flavored moonshines make their way into gourmet magazines alongside craft beers and artisan liquors. 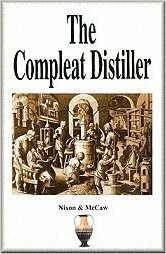 Websites and blogs offering advice about making moonshine abound. Pinterest, a site on which users share images of recipes, craft ideas and household tips, contains dozens of recipes for flavoring legally made liquors with juice, fruit and spices to make a “moonshine” of sorts. That’s within the letter of the law as long as it stops there. If home cooks try to sell it, that’s against the law, police said. Kari Andren is a Trib Total Media staff writer. She can be reached at 724-850-2856 or kandren@tribweb.com.